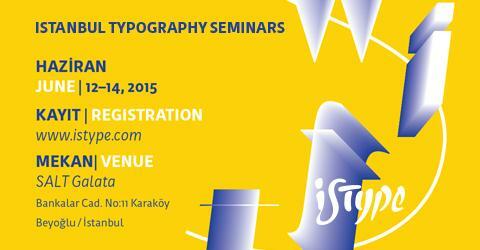 The fourth international typography conference will be held 12–14 June, 2015. The program consists of various presentations and workshops revolving around the theme, Swift. This year's conference program is comprised of eleven renowned international and national typographers, calligraphers and researchers presenting their experiences on type design, typography and calligraphy with Erik Spiekermann honoring us with his keynote talk, “Grotesque." In addition to the rich presentation program we have the film screening of the The Man of Black and White, a documentary about the life and work of type designer Adrian Frutiger. Find out more about the program at www.istype.com, and be sure not to miss the early bird price.